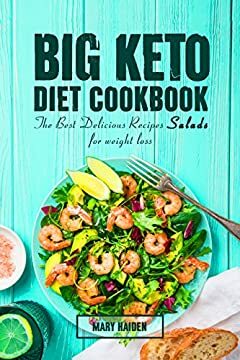 Most people are shocked when they discover that the keto diet has a wide range of foods for every occasion. You can have snacks, food, drinks, desserts and even salads that are not just great looking but tasty as well. This eBook contains the best salad recipes for every occasion. They are simple and the ingredients can be gotten without a hassle. It contains salads with fruits, vegetables, meat, chicken, fish and more. There is nothing tastier than low carb keto salads. It doesnâ€™t matter if you are having them alone or for dinner or lunch. Enjoy our sweet keto salads in every season.